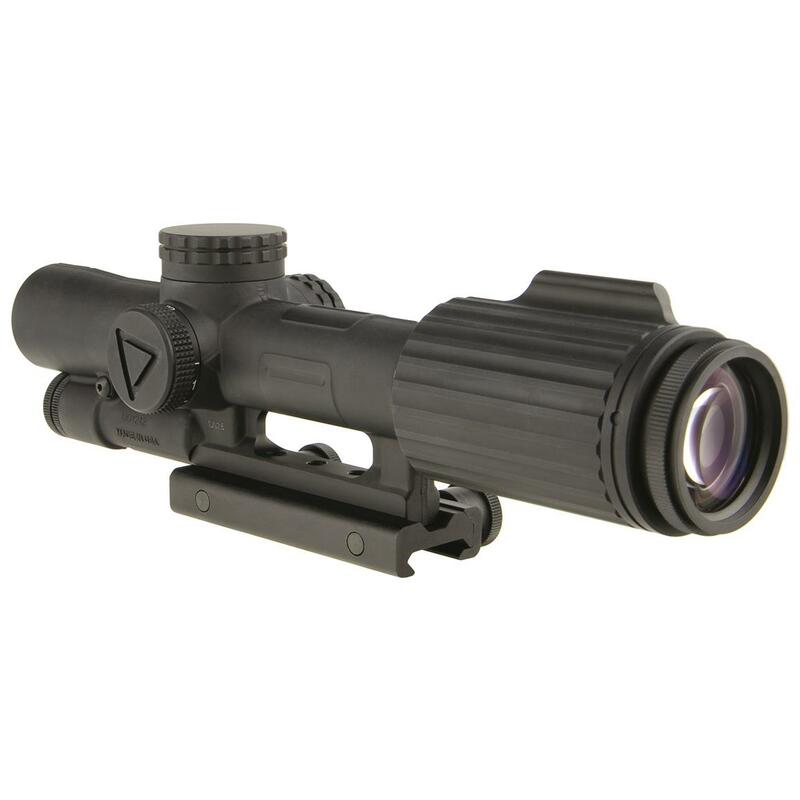 High-grade optics sports a lighted bullet drop ranging reticle! 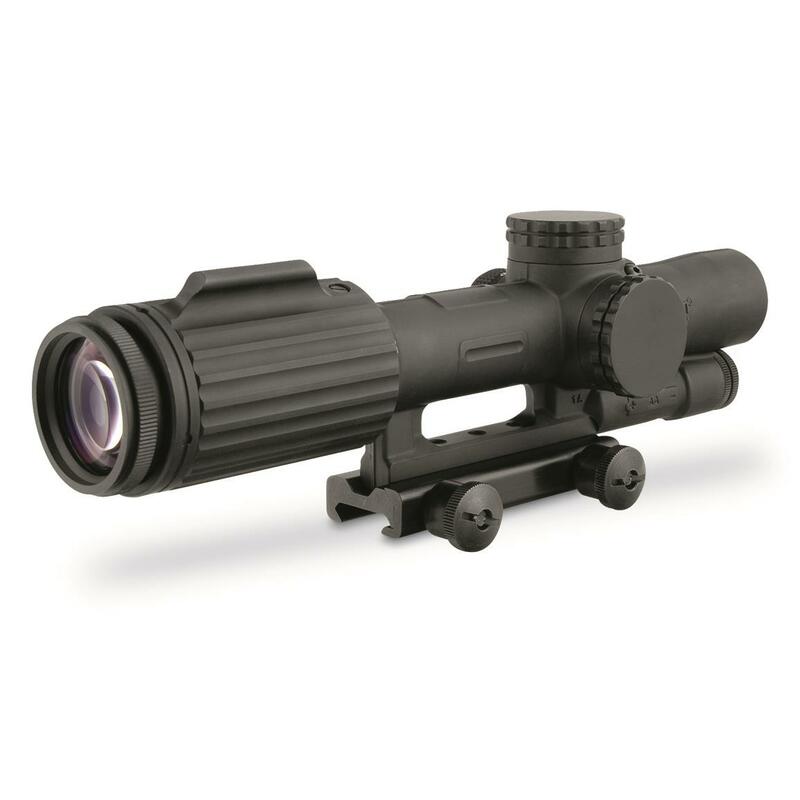 FFP Red Segmented Circle/Crosshair ballistic reticle optimized for .223/55-gr. 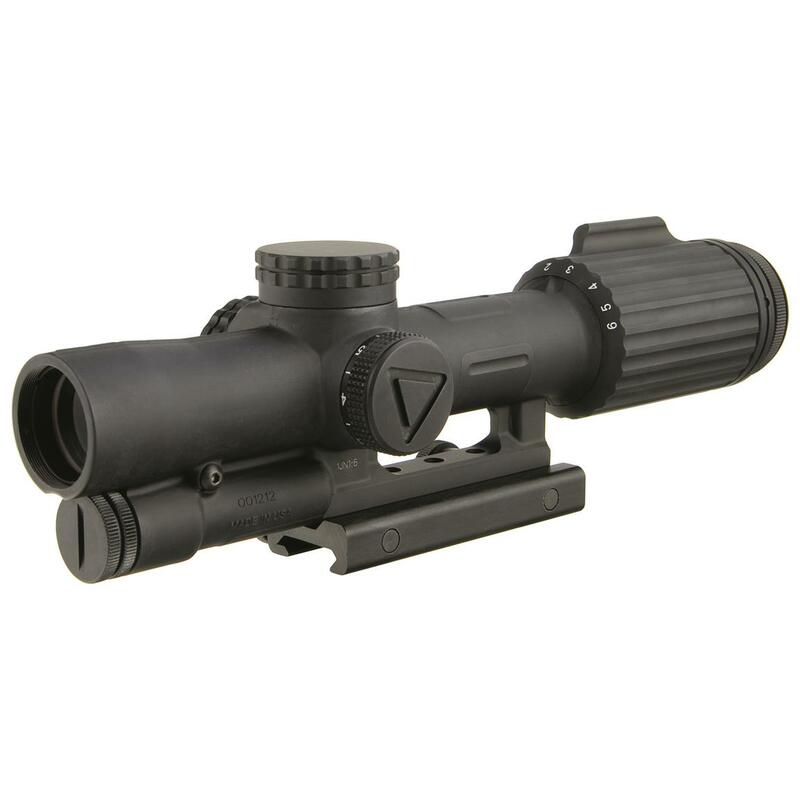 The Trijicon® 1-6x24mm VCOG® (Variable Combat Optical Gunsight) is a rugged variable powered rifle, specially tuned to accommodate .223 caliber/55 grain rifle firepower. 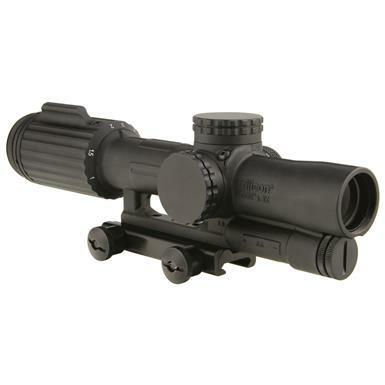 The scope is known for close quarter battle (CQB) and long distance marksmanship. It features superior glass quality and light gathering capabilities with zero distortion. 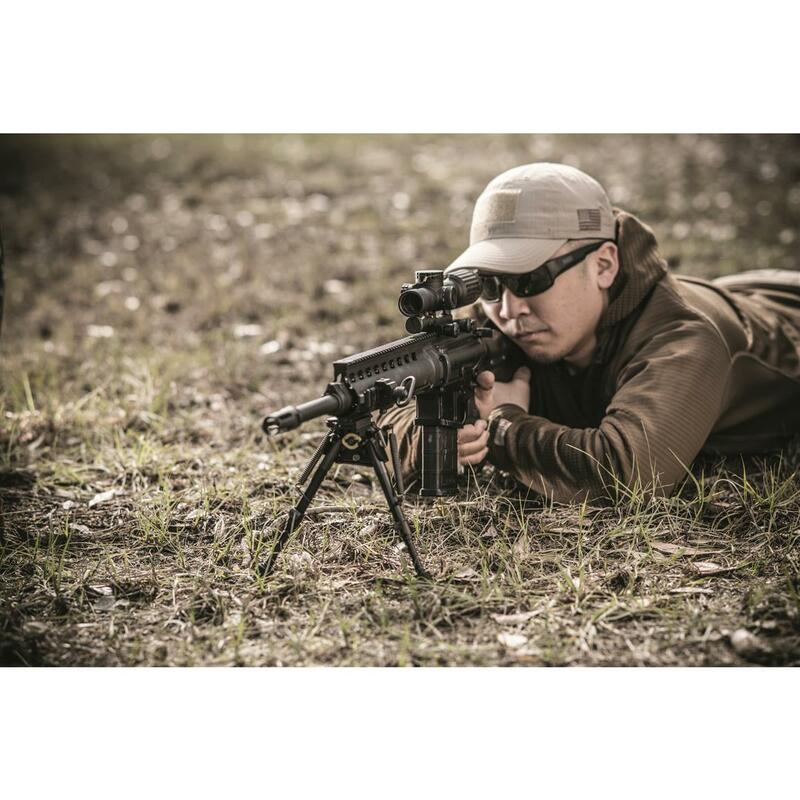 The bullet drop compensating and ranging reticle allows for the shooter to quickly and accurately estimate range and apply the correct hold. 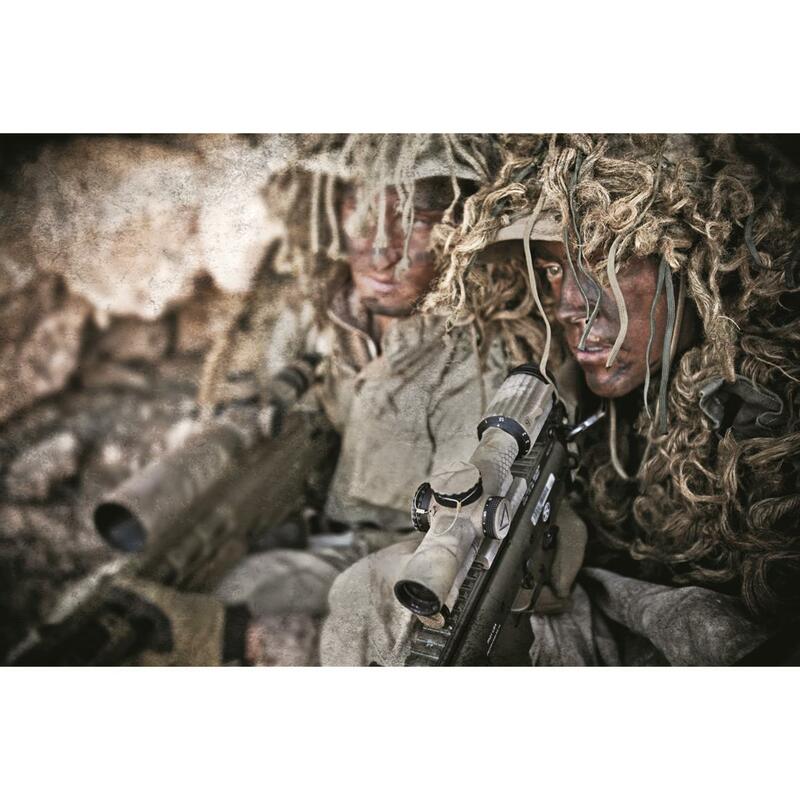 The first focal plane reticle allows the subtensions and drops to remain true at any magnification. 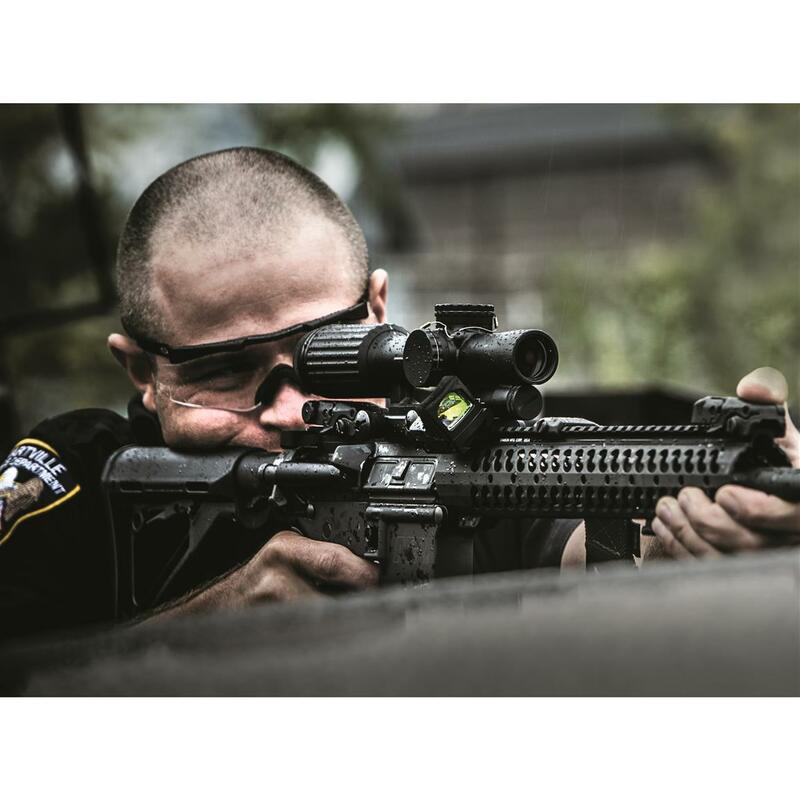 With a forged 7075-T6 aircraft-aluminum-alloy housing, the VCOG is an exceptionally durable and nearly indestructible sighting system. 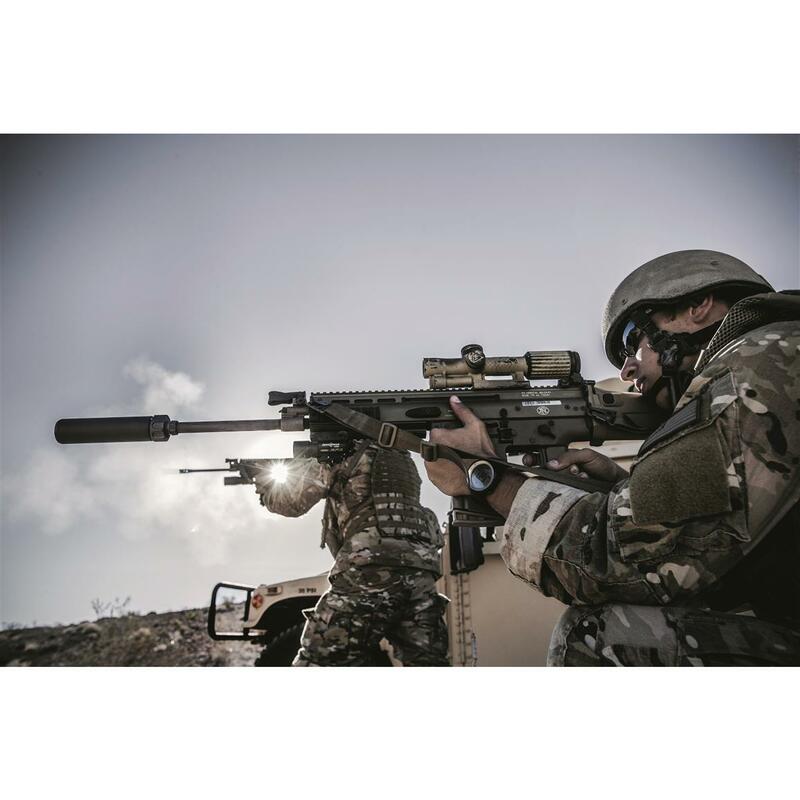 Robust enough for any application, the VCOG utilizes a single AA battery, commonly found across the globe and offers 6 adjustable brightness settings for the LED reticle. When powered by a lithium AA battery (like the one provided), it boasts a considerable battery life of 700 hours at setting 4 (constant on). An integrated dial fin allows easy rotation through the magnification range and a constant eye relief means no head or stock position adjustments are needed. Waterproof to 20 meters (66 ft.). Treat yourself to the very best, order today! Adjustment gradiation: 1 click = 1/2"